The manufacturing process of API steel pipes begins with solid steel rounds or billets. They are cut into specified length according to the requirements of buyers and sent through a furnace whose temperature can reach as high as 2,300℃. Then the melting rounds are turned into a tube shell in less than ten seconds as while preheated billets are rolled cross-rolled at a high speed. Tests of the size and wall thickness are carried out by a cutting-edge hot-wall measuring system. The shells are then reheated for final modeling in the mandrel mill where the outside diameters of API steel pipes are adjusted to buyers' specifications. Again wall thickness is carefully monitored using the hot-wall measuring system. After being rotated and advanced on the cooling bed, the pipes are cut in batches and transferred to an in-process storage area where they are handled by computer-controlled cranes. Thus, pipes can be delivered to the heat treating sector. Different grades of API steel pipes might undergo different types of quenching and tempering so as to change their micro-structure to improve strength or other properties. In general, quenching and tempering not only control hardness and reduce fragility, but also brings tensile and yield qualities required for particular grades. 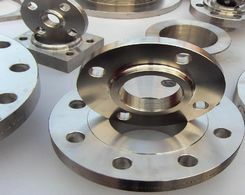 After cooling, pipe is straightened, visually inspected, stenciled with the appropriate identity and queued for finishing. In the finishing department, the pipe is beveled, and eddy current inspected. Electromagnetic inspection (EMI) is adopted to detect longitudinal and transverse flaws as the steel pipes move through a set of coils and ultrasonic testing is used to verify wall thickness. Although the chemical composition varies among different grades of API steel pipes, all products are hydro-tested. The steels of today are far more sophisticated than metals like iron produced in earlier decades. Precise control of compositions and manufacturing processes allows for the production of a wide variety of quality API steel pipes. Now high-end technology is used to manage every aspect of production. Moreover, real-time communication between the control room and machine operators guarantees precise regulation of each step, from charging furnaces with raw materials to timing, alloying, testing and transport. To ensure the highest quality, a number of major manufacturers of API steel pipes have set up an entire quality management system which is in full compliance with API Q1 and ISO 9001 so that a full line of API grades and proprietary grades can be produced to meet specialized customer needs. In order to make sure the quality of the products, the manufactory are willing to spend more money and time on the processing technology.